These are universal and apply to all members of the academy. They are clearly communicated to all members of the community through notices and displays and provide the framework for a values education programme, reward systems and other key areas of the academy. Our VISION is for every pupil to reach their full academic potential and to become a well-rounded, confident adult with the skills needed to contribute and thrive in modern society. 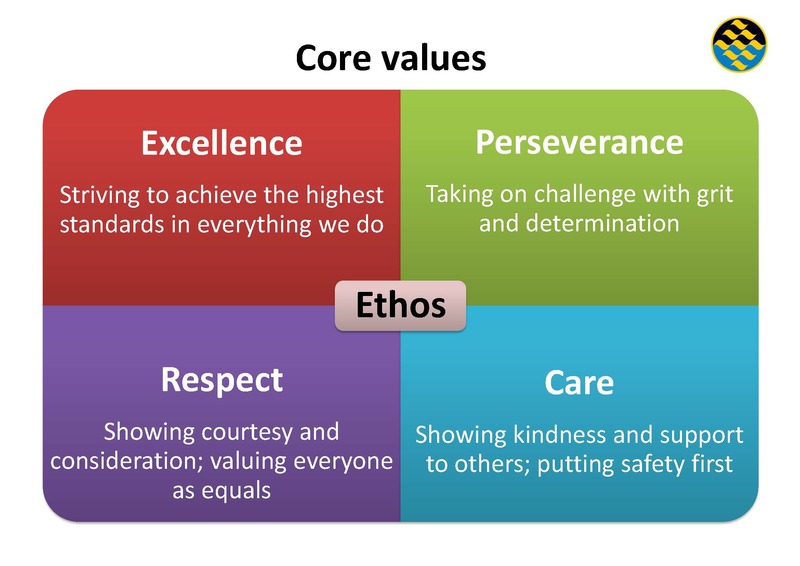 Our CULTURE AND ETHOS is one of excellence, respect, care and perseverance. Governors have identified three main priorities to be addressed this year and have developed the following strategies to bring about change. 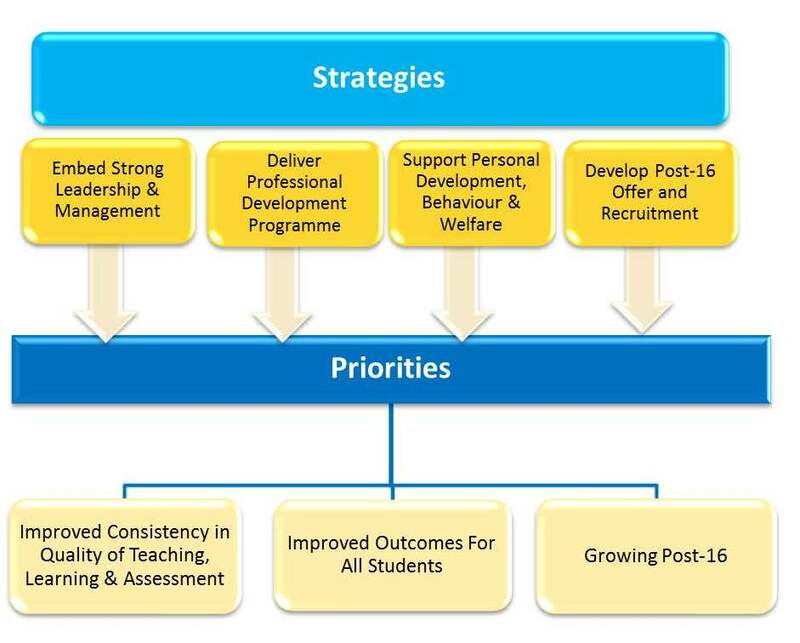 These strategies have informed the Academy Improvement Plan which details the operational objectives and Key Performance Indicators from which the leadership team will manage the changes.